Let The Rose Rule with Its Beauty and Aroma Dive into an ocean of rose and enjoy its aroma every morning while doing workout. 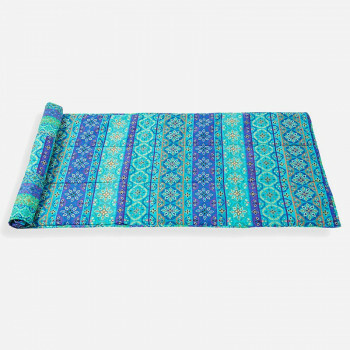 We have designed this yoga mat with lovely colors and artistic design. Boost up yoga session with such lovely fragrance and precede its poses effortlessly being magnetized in its ambiance. 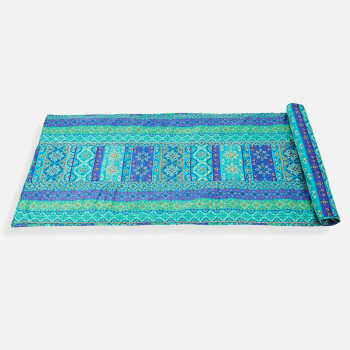 You may avail this yoga mat online even within minimal price. Let The Rose Spread Its Magnetizing Fragrance We are all set to make your yoga session fantastic with rose fragrance and allure of artwork. We bring rosemary yoga mat which lovely and embracing that fills entire yoga session with magnetizing fragrance. You may get this yoga mat online with an attractive discount which doubles your profits with quality and value for money. Start Perfect Day with The Allure of Artwork Have a wonderful day starting with yoga session which is enhanced by quality printed yoga mat. 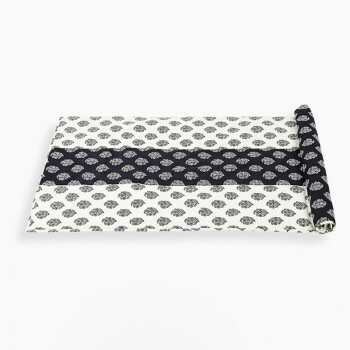 The mat designed with motifs patterns and colored in black and white is a perfect piece of value for money since it includes abundant features which would boost up entire yoga session. Let The Super Morning Greet You with Refreshing Vibes The essence of greenery and lime is brought into an introduction for making morning refreshing perfect. 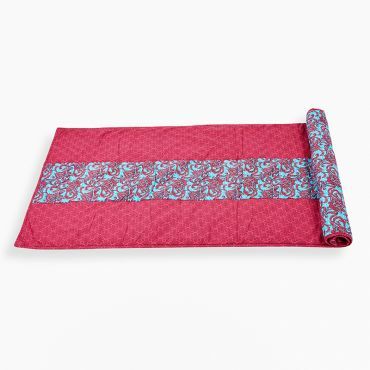 The rejuvenating prints imprinted on comfy fabric birth an innovation which is called super morning yoga mat. What could be better than having a refreshing morning every day! Boost Up Yoga Session with Rich Indian Traditional Touch Adjoining yoga session with Indian entities complements and completes it properly. 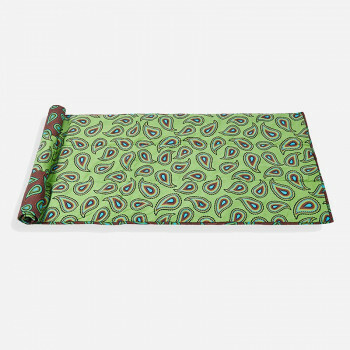 The rice color poured onto the Indian designing work creates regal creation in form of regal paisley yoga mat. Spread A Layer of Artistic Colors We introduce a vibrant yoga mat to create excitement in your yoga session. We have used vibrant colors to cheer up the workout. Apart from colors, these are comprised of various features to create overall ease in the yoga session. Get this yoga mat online within pocket-friendly budget and enjoy super saving along with your yoga poses. Ignite The Chilling Vibes of Refreshing Artwork We have designed one of the refreshing themes to boost up yoga session with soothing color and mesmerizing print. Keeping the ambiance of work out on the priority, swayam has chosen its color with soft paisley design. You may shop these yoga mats online in most reasonable price since these mats are wealthy of numerous useful attributes. Say Good Morning in Magical Ambiance Start your day with magical ambiance coming out through cyan yoga mats and enhance your Asanas. Color cyan is used to soothe eyes in the morning and design is used to add a flavor into your yoga session. These printed yoga mats are colorfast in character and assure not to be dull even after continuous use and many wash. Healthy living with evergreen space Evergreen checks are designed keeping the health on the priority. What we have brought is green checks to enhance the exercises during Yoga. Transform ambiance fully refreshing every morning with rejuvenating green. 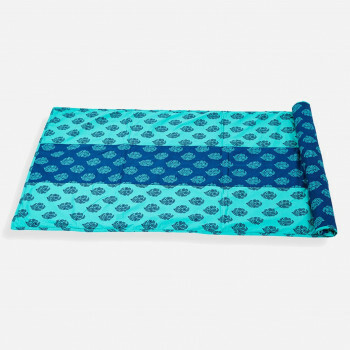 A blend of engaging rich artwork and soothing cyan The creation produced from the blend of rich art work and soothing color is more than a yoga mat. We have designed unique mats for best yoga session for every one of you. Printed yoga mats are more than its price yet these are available at reasonable price. 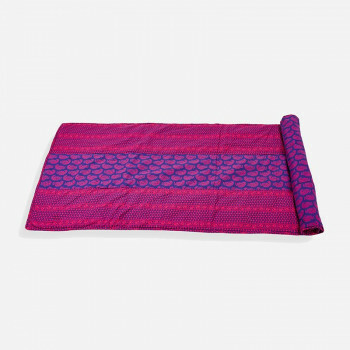 You may get these designer yoga mats online from swayam only. 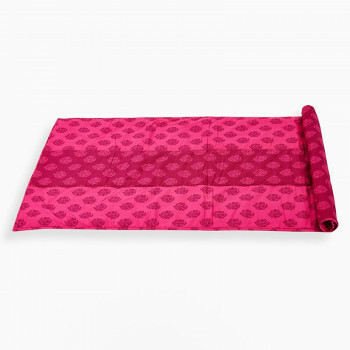 Spread A Comfy Layer of Dotted Beauty Make your yoga session best using quality yoga mats which are wealthy of many useful attributes. Get ready with proper yoga set with only one yoga mat that is ultra-soft in touch and fluffy in feel. 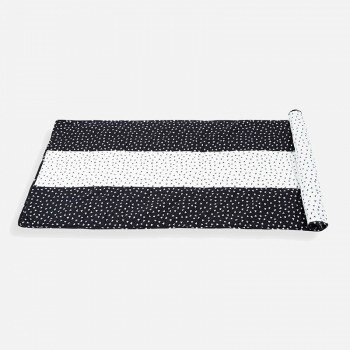 Let your shocks get absorbed with this comforting mat and precede your yoga poses consistently. 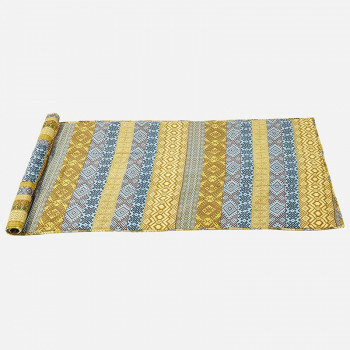 Get these yoga mats online from swayam on most reasonable price. Adorn Yoga Space with Artistic Blooms Spread the aroma and charm of artistic blooms and transform yoga session energetic. Bring home yoga mats which are not ordinary but available on most reasonable price. 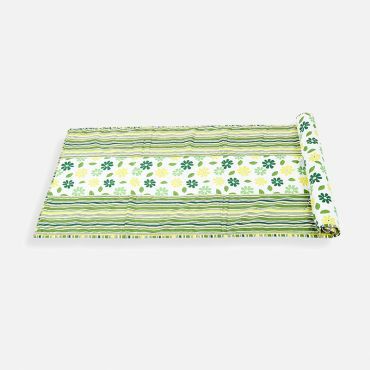 Get chintz motifs yoga mat online from SwayamIndia and get assured to shop quality product with value for money. Spread a layer of refreshing ornaments to rejuvenate yoga session We are here to boost up your yoga session with yoga buddy which is none of other than printed yoga mats. The charm of ornaments and comfort of pure cotton are blended together to serve users with phenomenon creation. Swayam introduces a supreme collection of premium yoga mats which are enriched with various useful attributes to make your yoga session more relaxing and comforting. Our aim is to turn your morning healthy and rejuvenated with pure cotton used into its construction. The usage of pure cotton fabrics also creates ease while posing numerous yoga’s Asanas. The joints of the body would get proper support throughout the entire yoga session. 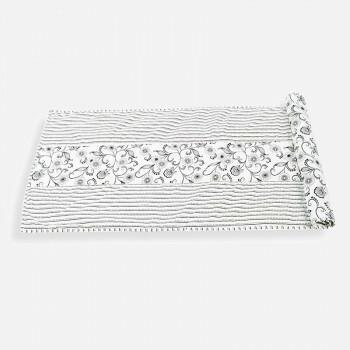 Therefore, cotton yoga mat inspires you to go for yoga to relax in its embrace. Additionally, the touch of these yoga mats would always assure you to feel like the natural surface that boosts up every morning. 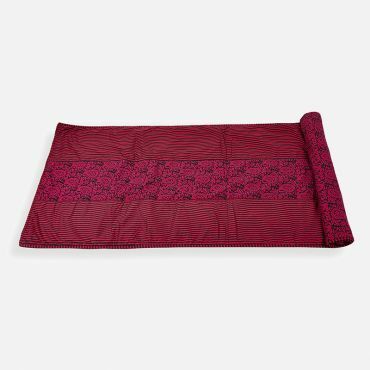 You may buy this yoga mat online from Swayam on most reasonable price and get ensured to use it for the long run. These designer yoga mats justify your investment and promise you to own value for money. 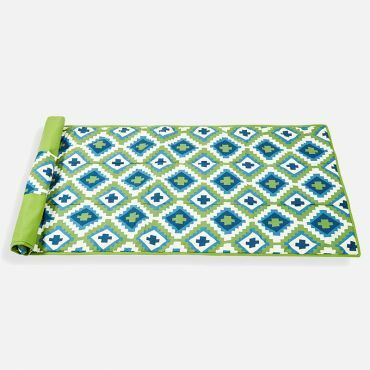 A variety of mesmerizing prints renders stylish touch to the modern living through these yoga mats. You may choose best of your choice whether it is about motifs, paisley, blocks, ornaments, and natural. These yoga mats are colorfast in nature and would never fade your yoga session. 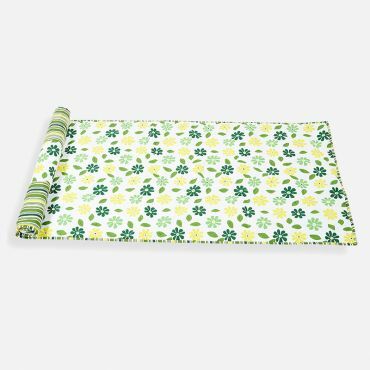 Users may double the profit of their investment since these are reversible yoga mats and may be used for the long run in comparison to ordinary yoga mats. As far as the matter concern of convenience, these mats are rolled up with string closure and easy to carry to take it at your best place. These mats require easy maintenance with mild machine wash.